The Santa Ana Zoo, "Home of the 50 Monkeys," announced today that its 67th wild birthday celebration will take place Saturday, March 2nd and Sunday, March 3rd on the Zoo grounds from 11:00 am to 2:00 pm. You came as a kid, now come back with yours! Parking and entertainment are included in the cost of general admission. Zoo members and children under age 3 are free. Did you know that multiple animals at the Zoo were born in the month of March? Guests will love searching the Zoo for these special party animals and writing birthday greetings to their new friends! 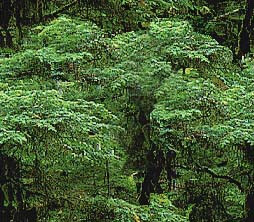 Look for giant anteaters, camels, lemurs, ocelots, sloths and the world's smallest monkeys! SAZOO, the Zoo's resident monkey mascot and honorary OC celebrity, will also be on hand to engage, entertain and take photos with guests. At 12:30 pm each day, Zoo guests will enjoy a ceremony and singing "Happy Birthday" to SAZOO and the Zoo animals, followed by a piece of birthday cake, while supplies last. During the party, birthday guests will love visiting the Crean Family Farm and the Colors of the Amazon Aviary. Zoofari Express Train Ride, Conservation Carrousel and Fifty Monkey Ferris Wheel tickets are available for an additional cost. Children under 3 are free to ride with paid adult on the train and adults standing with children on the Carrousel are free. The Zoo's conservation friendly playground and multiple picnic areas are also open to guests at no additional charge. "For 67 years The Santa Ana Zoo has remained one of Southern California's most memorable places for families and friends to come together, enjoy wildlife and learn about conservation and the wonders of nature," says FOSAZ Executive Director Cathi Decker. "We are thrilled to once again share our birthday celebration with the community and our growing family of wild animal friends!" "Snow Days with the Critters," the Santa Ana Zoo's exciting winter event, welcomes visitors to the Zoo during the weekend of Saturday, December 15 and Sunday, December 16 from 11 AM - 2 PM, rain or shine. The event is included with the price of admission and is FREE for children 2 and under, as well as for members of the Zoo. On Sunday, December 16, Santa Ana residents can visit the Zoo and enjoy this event for FREE! Proof of residency is required. "Snow Days" is an annual all-Zoo event welcoming winter and celebrating the joys of the season, including snow! Watch animals receive icy treats and snow enrichment, listen to festive music, enjoy the winter decorations, discover how animals adapt to surviving in freezing environments, create cool crafts, and listen to delightful winter stories. There will even be a special area set aside for children of all ages to play in "snow." Snow enrichment for the animals is being generously provided by Kona Ice, and they will also have their delicious and colorful shaved ice for purchase at the Zoo! Shop for the holiday season with an extra discount during the "White Elephant Sale" at the Treetop Toys Gift Shop on both days. "Snow Days with the Critters are engaging, high-energy days created to bring together family and friends to learn more about animals and support the Zoo's ongoing conservation efforts," says David Exline, FOSAZ Board President. "Add to the mix our Zoofari Express Train ride, the Conservation Carrousel, Fifty Monkey Ferris Wheel, our popular playgrounds next to the new Bean Sprouts Cafe and our picnic tables, and you've got the makings for a great day!" As an added treat, guests will enjoy decorations with a frosty theme and falling snow as they enter the gate. Beautiful, original hand-crafted adornments are perfect for pictures and depict many holiday favorites including Santa's Workshop, Sweet Shop and Post Office cut outs of 3-dimensional wood, all individually designed and painted by Friends of Santa Ana Zoo (FOSAZ) Board Member Rip Ribble. Mark your calendars, grab your costumes, and join us for our annual "merry not scary" Boo at the Zoo, OC's Premier Halloween Event for Kids. 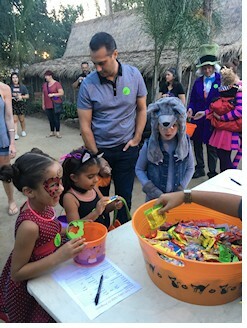 The Friends of Santa Ana Zoo present the 28th Annual Boo at the Zoo located at the Santa Ana Zoo. The event will take place from 5:30 PM to 8 PM on Saturday, October 20; Sunday, October 21; Saturday, October 27; and Sunday, October 28, rain or shine. Guests will have the opportunity to explore 10 prize stations on our Trick-or-Treat Trail, enjoy a variety of Halloween-themed games and activities - including storytelling and sing-alongs, and visit with our nocturnal animals. This will be our second year proudly supporting the OC Teal Pumpkin Project, ensuring kids with food allergies are presented with friendly treats and takeaways! Guests will also be able to participate in our nightly costume parade, led by SAZOO (our monkey mascot). Our exciting "Boofari" Express Train, Conservation Carrousel and brand new Fifty Monkey Ferris Wheel rides will be entertaining little ghouls and goblins all night long. Parents, don't forget your cameras! Boo at the Zoo provides great photo opportunities that will last a lifetime. General Admission is $19.95 per non-member ages 3 and up, and only $9.95 per Zoo Member ages 3 and up. Bonus: Children under the age of 3 are free. Join as a Member to receive your half price tickets! "Boofari" Express Train, Carrousel and Ferris Wheel rides will be available for an extra charge. Food and drinks will be available for purchase nightly. The Santa Ana Zoo's "Sunsets at the Zoo" after hours summer concert series are back by popular demand. Sponsored by Guaranty Chevrolet of Santa Ana & the Friends of Santa Ana Zoo (FOSAZ), the Zoo's first summer concert and brew-tasting event will take place Sunday, June 24th at 5:30 pm. Tickets can be purchased online at www.santaanazoo.org or at the gate on the night of the event. In addition to enjoying live music from local artists and bands under the California sky, Sunsets at the Zoo offers a unique, after-hours experience to see the Home of the 50 Monkeys' animal residents prepare for their evening activities. Guests may also purchase tickets to ride the Zoofari Express Train, the Zoo's brand new 50 Monkey Ferris Wheel, and the Conservation Carrousel that evening when the lines are shorter. "The combination of Sunsets at the Zoo and Brew at the Zoo makes for an event every generation will love," said Friends of the Santa Ana Zoo Board President David Exline. "It's awesome to experience the Zoo after hours, while listening to live music and taking in the beauty of the grounds and gardens. You can also get some incredible photos to share with friends and save for the holidays!" During the event, guests can take part in a silent auction and craft brew-tasting experience from a handful of Orange County's finest craft beer brewers (additional charge, valid ID required). Zoo members and guests are encouraged to bring their cameras, pack a picnic or purchase food items at the outdoor concert in the park. All proceeds raised this year will go towards the Zoo's fundraising for the Golden Headed Lion Tamarin monkey expansion. "Sunsets at the Zoo and Brew at the Zoo are simple, fun-loving summertime activities you'll cherish and want to share with others," says Amos Bracero, Event Coordinator for the Friends of the Santa Ana Zoo. "We're thrilled to once again welcome local artists and showcase the craftsmanship of Orange County's finest breweries at Sunsets and Brew at the Zoo." Admission to Sunsets at the Zoo is $19.95 per person ages 3 & up, and $9.95 for FOSAZ Members. Children under 3 are free. The cost to enjoy the Brew at the Zoo tasting experience is an additional $15 donation per person and reserved for adults 21 and over with valid IDs. The Santa Ana Zoo is home to more than 260 animals, including 60 of the most interesting and engaging monkeys and several endangered species. The parking, park and grounds are wheel-chair accessible. The Zoo is beautifully landscaped and showcases a wide array of succulents, flowers and other conservation-friendly varietals. Inside the Zoo there is a wonderful playground with nearby seating for parents and guardians. Also available throughout the Zoo are picnic tables and rest areas, and tons of shade. Open daily from 10:00 am - 4:00 pm. To become a Member of the Zoo, please call (714) 953-8555 x13. The Santa Ana Zoo in Prentice Park is located at 1801 East Chestnut Avenue, Santa Ana, CA 92701. The Santa Ana Zoo today announced its annual Party for the Planet event will take place Sunday May 20, 2018, from 12 noon to 3:00 pm on the beautiful Santa Ana Zoo grounds locally known as the "Home of the 50 Monkeys." Themed around Earth Day and Endangered Species Day, Party for the Planet represents the largest shared eco-celebration in North America. Throughout the event, Zoo guests can create conservation-themed crafts and play fun games, as well as learn from hands-on demonstrations and education stations featuring animals, recycling, sustainable living and a variety of special guests including the City of Santa Ana Water Resources Division, Fullerton Arboretum and other community organizations. Guests of all ages will enjoy partying their way around the zoo and discovering ways to connect with and protect the natural world around them. 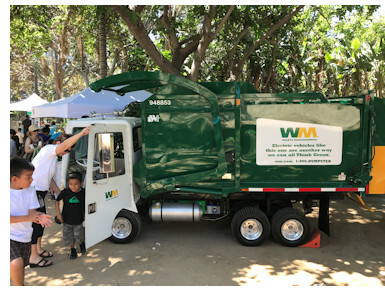 "This year's Party for the Planet event marks the 16th year the Friends of Santa Ana Zoo has hosted an event in honor of Earth Day," said Cathi Decker, Executive Director. "We're excited to welcome FOSAZ members, Zoo visitors and Santa Ana residents to celebrate with us on May 20th and enjoy all the Santa Ana Zoo and our special guests have to offer." Adding to the celebration are the eco-friendly, electric powered Zoofari Express Train rides and the Conservation Carrousel rides. Ride tickets run from $3 up and discount ticket books are available to FOSAZ Members. Children under 2 ride free with paid adult on the Train and adults standing with children on the Carrousel are free. Guests will also enjoy the Zoo's eco-friendly facility improvements including upgrades to the Exploration Outpost, playground, gardens, and new drinking and water bottle refill stations. The Santa Ana Zoo is home to more than 260 animals, including many interesting and engaging endangered species such as the Golden Lion Tamarin and ocelot. The Zoo is open daily from 10:00 am - 4:00 pm. To become a Member of the Zoo, please call (714) 953-8555 x13. The Santa Ana Zoo in Prentice Park is located at 1801 East Chestnut Avenue, Santa Ana, CA 92701. The Santa Ana Zoo, "Home of the 50 Monkeys," today announced its 66th wild animal birthday celebration will take place Saturday, March 3rd and Sunday, March 4th on the Zoo grounds from 11:00 am to 2:00 pm. You came as a kid, now come back with yours. Live music, parking and entertainment are included in the cost of general admission. Zoo members and children under age 3 are free. 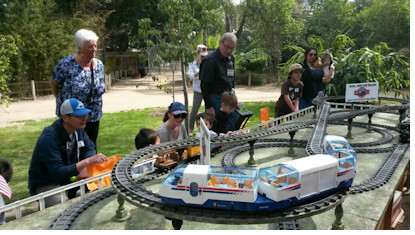 Throughout the event, guests will enjoy miniature train displays by Del Oro Pacific and have the opportunity to sing "Happy Birthday" and learn more about animals from all around the world including giant anteaters, camels, lemurs, ocelots, sloths and the world's smallest monkeys! SAZOO, the Zoo's resident monkey mascot and honorary OC celebrity, will also be on hand to engage, entertain and take photos with guests. At 12:30 pm each day, Zoo guests will enjoy a ceremony and singing to SAZOO, followed by a piece of birthday cake, compliments of Knowlwood Cafe, while supplies last. During the party, birthday guests will love visiting the Crean Family Farm and the Colorful Amazon Aviary. Zoofari Express Train Ride and Conservation Carrousel tickets are available for an additional cost. Children under 3 are free to ride with paid adult on the train and adults standing with children on the Carrousel are free. The Zoo's conservation friendly playground and multiple picnic areas are also open to guests at no additional charge. "For 66 years The Santa Ana Zoo has remained one of Southern California's most memorable places for families and friends to come together, enjoy wildlife and learn about conservation and the wonders of nature," says FOSAZ Executive Director Cathi Decker. "We are thrilled to once again share our birthday celebration with the community and our growing family of wild animal friends!" The Santa Ana Zoo is home to more than 260 animals, including 60 of the most interesting and engaging monkeys and several endangered species. The Zoo is open daily from 10:00 am - 4:00 pm. To become a Member of the Zoo, please call (714) 953-8555 x13. The Santa Ana Zoo in Prentice Park is located at 1801 East Chestnut Avenue, Santa Ana, CA 92701. The Santa Ana Zoo's "International Snow Day with the Critters" is Sunday, December 17th from 12 noon - 3pm, rain or shine. The annual event is included with the price of admission and FREE for children under 3, as well as members of the Zoo. As part of the Zoo's annual snow day, guests are treated to a "trip around the world" where they are free to discover and explore international stations throughout the Zoo and stamp their "passports." Each station spotlights an animal from a different country around the world receiving icy treats. Educational games, cool crafts and delightful winter storytelling are featured throughout the day. "International Snow Day with the Critters is an engaging, high-energy event created to bring together family and friends to learn more about animals from all over the world and support the Zoo's ongoing conservation efforts," says David Exline, FOSAZ Board President. "Add to the mix our trains, the Conservation Carrousel, our dueling playgrounds next to The Knowlwood Cafe and our picnic tables and you've got the makings for a great day!" As an added treat, guests of International Snow Day with the Critters will experience the Zoo's "Winter Zoobilation" decorations including a frosty theme, fairy lights and falling snow. Additional decorations including beautiful, original hand-crafted adornments are perfect for pictures and depict many holiday favorites including Santa's Workshop, Sweet Shop and Post Office cut outs of 3-dimensional wood and individually designed and painted by Friends of Santa Ana Zoo (FOSAZ) Board Member Rip Ribble. Designated as the "Home of the 50 Monkeys," the Santa Ana Zoo is home to more than 260 animals, including two twin baby ocelots, several farm favorites and 60 of the most interesting and engaging monkeys, including the endangered golden lion tamarins. The Zoo is open daily from 10:00 am - 4:00 pm. To become a member of the Zoo, please call (714) 953-8555 x13. The Santa Ana Zoo in Prentice Park is located at 1801 East Chestnut Avenue, Santa Ana, CA 92701. The Friends of Santa Ana Zoo and B.P.O. 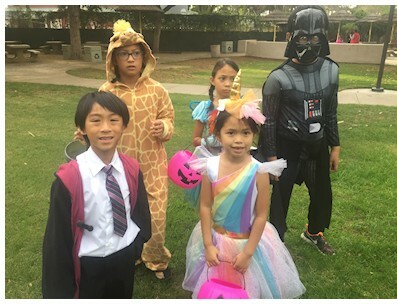 Elks Santa Ana Lodge #794 present the 27th Annual Boo at the Zoo located at the Santa Ana Zoo. The event will take place from 5:30 PM to 8 PM on Saturday, October 21, and Sunday, October 22; Saturday, October 28; and Sunday, October 29, rain or shine. General Admission is $19.95 per non-member ages 2 and up, and only $9.95 per Zoo Member ages 2 and up. Bonus: Children under the age of 2 are free. Join as a Member to receive your half price tickets! "Boo"fari Express Train and Carrousel rides will be available for an extra charge. Hot dogs, chips and soda will also be available for purchase nightly provided by the Tustin-Santa Ana Rotary Club, Zoo Docents, and Knowlwood Restaurant. The Friends of Santa Ana Zoo (FOSAZ), a non-profit organization, is pleased to announce its 25th annual "Silver Anniversary" Zoofari gala fundraising event. Tickets sales, media and sponsorship opportunities are now available to the public for purchase online or by calling (714) 953-8555 x10. With an expected attendance of more than 400 guests, each ticket to the glamorous Zoofari event includes complimentary valet parking service, a first-class dining experience catered by Parties by Panache, and a hosted bar including a special "Satin Sparkle" signature drink. Partygoers will enjoy a "Silver Anniversary" themed photo op and decor by R.W.B. Party Props, dancing to the "Groove Factory" live band and an opportunity to bid on wonderful trips, unique baskets, artwork and one-of-a-kind gifts during the event's live and silent auctions hosted by renowned auctioneer Glen Fladeboe. "Zoofari is a first-class fundraising event that demonstrates the love and investment the local community, surrounding businesses and FOSAZ have for the Zoo," says David Exline, President of the FOSAZ Board. "2017's 'Silver Anniversary' gala promises to be another endearing and festive evening our guests will cherish and a night of giving that will have a lasting and positive impact on the Santa Ana Zoo for years to come." Honorees this year are Peggy Baldwin-Butler of the Tudor House Entertainment and James Howe of Bert L. Howe & Associates, Inc. Baldwin-Butler has been a longtime supporter and underwriter for Zoofari and the Santa Ana Zoo while Howe is an instrumental underwriter for the upcoming Fifty Monkey Ferris Wheel set to be unveiled at the end of this year. "Zoofari has and will continue to play an integral role in raising the funds needed for all the special projects and improvements going on here at our favorite community Zoo including educational programs, breaking ground on new animal habitats, tackling important conservation initiatives, introducing new rides, and upgrading service facilities for our guests to use and enjoy," says Cathi Decker, event manager and Executive Director of FOSAZ. Tickets to this exclusive black-tie, fundraising gala under the stars are $300 each. Private tables for 10 are available for $3,000 each. Space is limited. Guests must purchase tickets and tables in advance of the event. The annual gala will take place Saturday, August 26 from 5:30 to 11:30 pm at the Santa Ana Zoo in Prentice Park, located at 1801 East Chestnut Avenue in Santa Ana. Open daily from 10:00 am - 4:00 pm, the Santa Ana Zoo is AZA (Association of Zoos and Aquariums) accredited and participates in the SAFE (Saving Animals from Extinction) program. To become a Member of the Zoo, please call (714) 953-8555 x13. The Santa Ana Zoo in Prentice Park is located at 1801 East Chestnut Avenue, Santa Ana, CA 92701. The Santa Ana Zoo's "Sunsets at the Zoo" summer concert series are back by popular demand. Sponsored by Guaranty Chevrolet of Santa Ana & the Friends of Santa Ana Zoo (FOSAZ), the Zoo's first summer concert and brew-tasting event will take place Sunday, June 11th at 5:30 pm. Tickets can be purchased online at www.santaanazoo.org or at the gate on the night of the event. In addition to enjoying live music from local artists and bands under the California sky, Sunsets at the Zoo offers a unique, after-hours experience to see the Home of the 50 Monkeys' animal residents prepare for their evening activities. Guests may also purchase tickets to ride the train and carrousel after hours. "The combination of Sunsets at the Zoo and Brew at the Zoo makes for an event every generation will love," said Friends of the Santa Ana Zoo Board Member Kristeen Stolo. "It's awesome to experience the Zoo after hours, while listening to live music and taking in the beauty of the grounds and gardens. You can also get some incredible photos to share with friends and save for the holidays!" Brew: Left Coast Brewing, Cismontane Brewing Co. and Barley Forge Brewing Co.
"Sunsets at the Zoo and Brew at the Zoo are simple, fun-loving summertime activities you'll cherish and want to share with others," says Amos Bracero, Event Coordinator for the Friends of the Santa Ana Zoo. "We're thrilled to once again welcome local artists and showcase the craftsmanship of Orange County's finest breweries at Sunsets and Brew at the Zoo. Admission to Sunsets at the Zoo is $16.95 per person ages 3 & up, and $8.95 for FOSAZ Members. Children under 3 are free. The cost to enjoy the Brew at the Zoo tasting experience is an additional $15 donation per person and reserved for adults 21 and over with valid IDs. The Santa Ana Zoo today announced its annual Party for the PlanetTM event will take place Sunday May 21st, 2017, from 12 noon to 3:00 pm on the beautiful Santa Ana Zoo grounds locally known as the "Home of the 50 Monkeys." Exclusive to AZA-(Association of Zoos & Aquariums) accredited establishments, Party for the Planet represents the largest shared Earth Day celebration in North America. Throughout the event, Zoo guests can create conservation-friendly crafts and play fun games, as well as learn from hands-on demonstrations and education stations featuring animals, recycling, sustainable living and a variety of special guests including members of the Santa Ana City Water District, Fullerton Arboretum and other community organizations. During the event, guests are encouraged to pick up a copy of the "Let's Play! with the Santa Ana Zoo" activity book. Offered as part of the Zoo's ongoing education efforts, "Let's Play!" 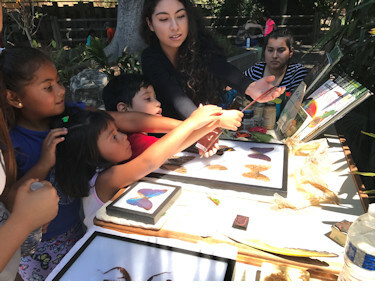 takes families through the Zoo and Santiago Creek Wildlife and Watershed Center and their own backyards, encouraging them to look, measure, and listen to the nature around them. 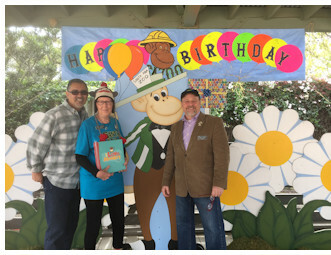 "This year's Party for the Planet event marks the 16th year the Friends of Santa Ana Zoo has hosted an event in honor of Earth Day," said Cathi Decker, Executive Director. "We're excited to welcome FOSAZ members, Zoo visitors and Santa Ana residents to celebrate with us on May 21st and enjoy all the Santa Ana Zoo and our special guests have to offer." The Santa Ana Zoo, "Home of the 50 Monkeys," today announced its 65th wild animal birthday celebration will take place Saturday, March 4th and Sunday, March 5th on the Zoo grounds from 11:00 am to 2:00 pm. You came as a kid, now come back with yours. Live music, parking and entertainment are included in the cost of general admission. Zoo members and children under age 3 are free. "For 65 years The Santa Ana Zoo has remained one of Southern California's most memorable places for families and friends to come together, enjoy wildlife and learn about conservation and the wonders of nature," says FOSAZ Executive Director Cathi Decker. "We are thrilled to once again share our birthday celebration with the community and our growing family of wild animal friends!"